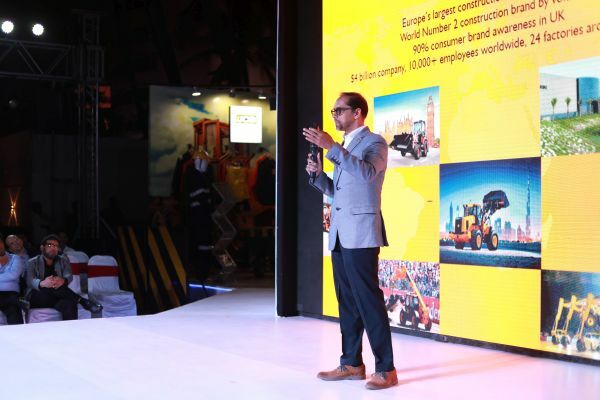 Arvind Limited, the leading textile-to-retail and brands conglomerate in India, together with JCB, the industry leader in construction equipment, launched an iconic Workwear brand that is beyond competition. The onus for organising this important event was placed in the trusted hands of The Think Tank Entertainment. 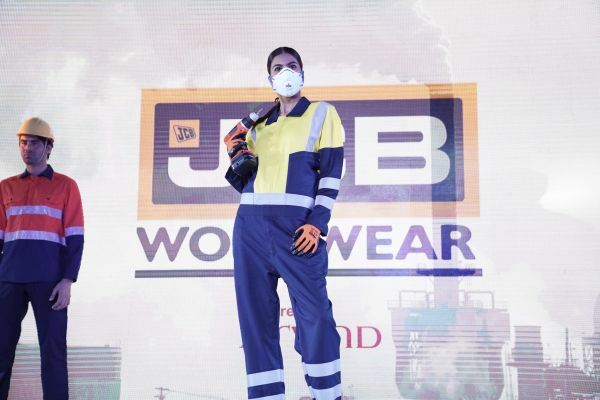 The expo and fashion show for JCB Workwear Powered by Arvind, was organised on December 21, 2018. 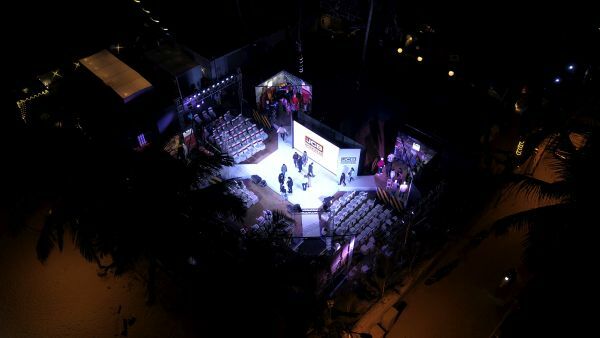 Since the garment's launched, were mainly suited for an outdoor environment, The Think Tank Entertainment thought it would be fitting to conduct the event outdoors at an opportune beachside venue, Razzberry Rhinoceros. They set up four separate sections connected by an X-shaped fashion runway. These sections showcased garments in every category including everything from coveralls, dungarees, rainwear, suits, and formals. 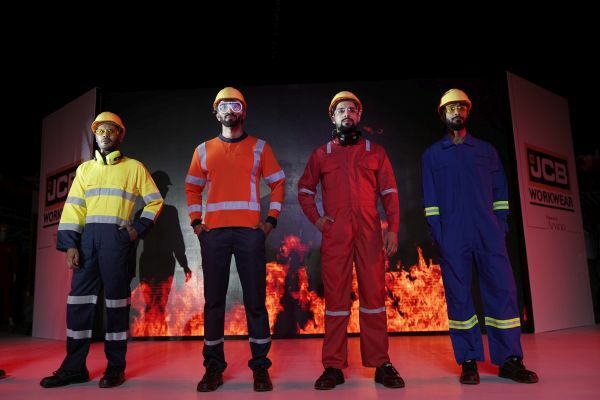 This helped to highlight the four product categories, namely Imagewear, Outerwear, Workwear and Technical Wear. They designed the entrance to resemble the doors of a cargo container. To raise the interest of people walking in, the walkway had samples of the four clothing categories on half-mannequins. 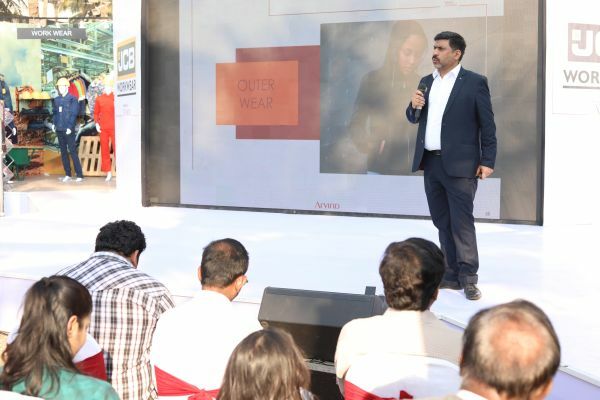 This event was made open to the media early in the evening where the products were explained to them through a presentation. They were then taken around the four stalls, specific to each clothing category, to give them a complete picture of the brand and its offerings. Later on, the invited list of 150 guests began walking into the venue. The festivities of the evening began with a presentation for the distributors. 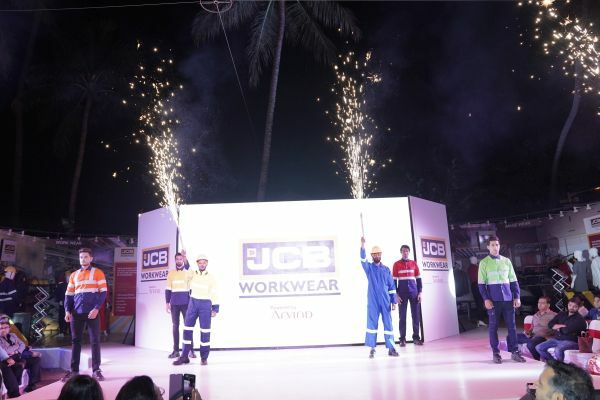 Here top executives from Arvind Limited and JCB India came out to introduce and explain their respective brands and then launched JCB Workwear powered by Arvind. 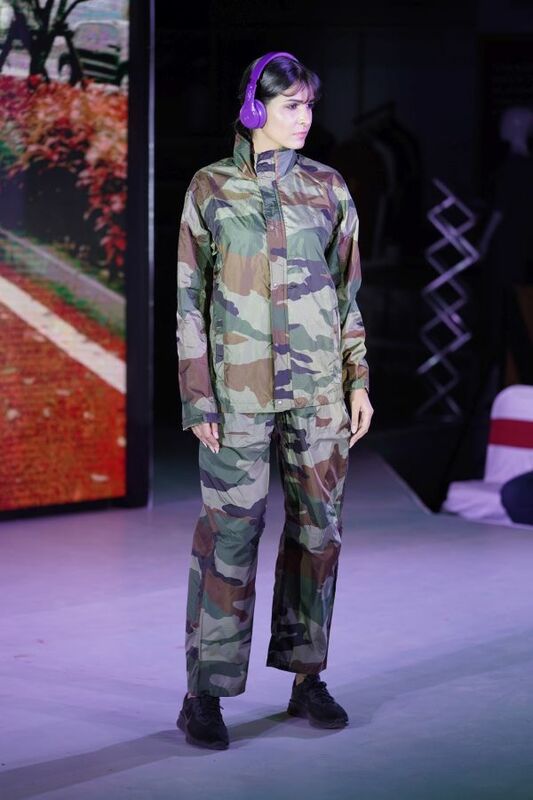 The unique skit-based fashion show was the highlight of the event and it lived up to the hype. Every clothing category was introduced and displayed through mood films and short skits performed by the models. For Imagewear garments, which mainly include formal shirts and trousers, they set up an office scene. 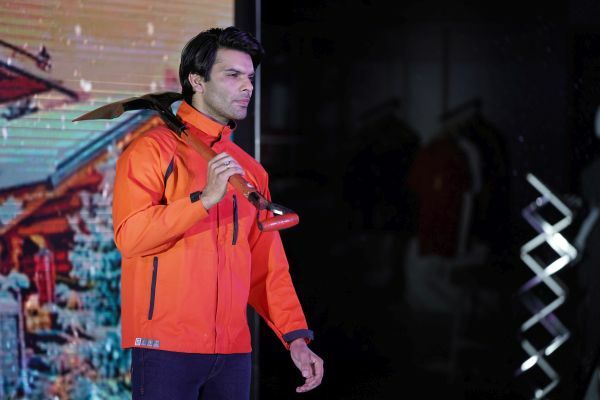 For the Outerwear Category, which consists of winter jackets and windcheaters, the scene depicted was of the outdoors life, shoveling snow in harsh weather. 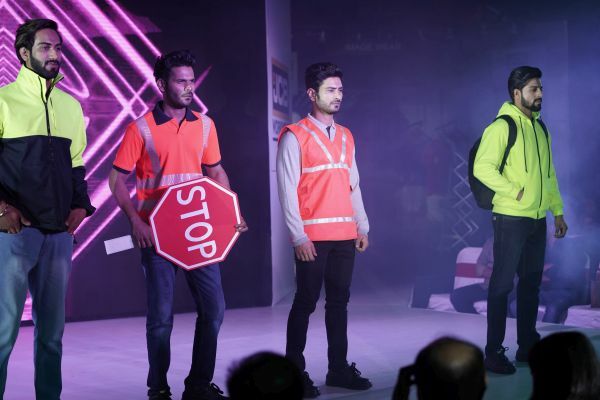 The Workwear Section comprising of coveralls jackets and vests was displayed through a fun scene depicting two workers playing around with a wheelbarrow. To display the fire-retardant property of garments in the Technical Wear category, they put up a pyrotechnics display on the ramp. This not only ended the show on a high but also left the audience enthralled. 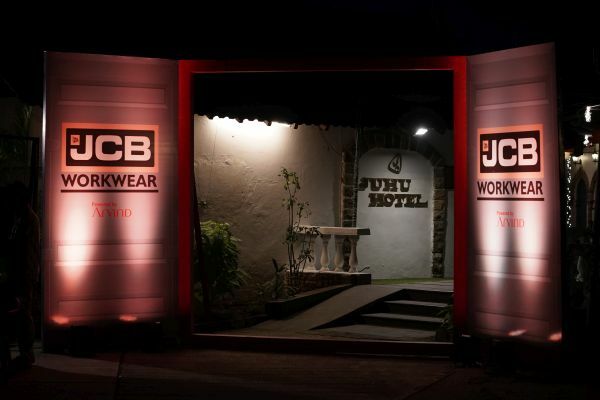 JCB Workwear Powered by Arvind Limited Launched its Workwear brand managed by The Think Tank Entertainment.